Mailbox Monday is still on tour, with July’s location being at A Sea of Books. DID J. EDGAR DIE A NATURAL DEATH? . . . OR WAS HE MURDERED? Inver Brass-a group of high-minded and high-placed intellectuals who see a monstrous threat to the country in Hoover’s unethical use of his scandal-ridden private files. They decide to do away with him-quietly, efficiently, with no hint of impropriety. 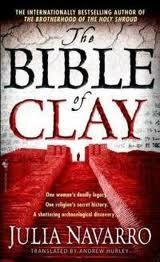 Until best-selling thriller writer Peter Chancellor stumbles onto information that makes his precious books like harmless fairy tales. Now Chancellor and Inver Brass are on a deadly collision course, spiraling across the globe in an ever-widening arc of violence and terror. Hurtling toward a showdown that will rip Washington’s intelligence community apart-leaving only one damning document to survive . . .
Amelia Wilkes’s strict father does not allow her to date, but that doesn’t stop the talented, winsome high school senior from carrying on a secret romance with her classmate Anthony Winter. Desperately in love, the two envision a life together and plan to tell Amelia’s parents only after she turns eighteen and is legally an adult. Anthony’s mother, Kim, who teaches at their school, knows – and keeps – their secret. But the couple’s passion is exposed sooner than planned: Amelia’s father, Harlan, is shocked and infuriated to find naked pictures of Anthony on his daughter’s computer. Just hours later, Anthony is arrested. Despite Amelia’s frantic protests, Harlan uses his wealth and influence with local law enforcement and the media to label Anthony a deviant who preyed on his innocent daughter. Spearheaded by a zealous prosecutor anxious to turn the case into a public crusade against “sexting,” the investigation soon takes an even more disturbing and destructive turn. As events spiral wildly out of control and the scandalous story makes national news, Amelia and Anthony risk everything in a bold and dangerous attempt to clear the names and end the madness once and for all. In St. Peter’s Basilica, a man sits in a confessional asking forgiveness for a murder he’s about to commit. And a young priest begins a desperate journey to stop him. It’s the beginning of a ruthless race to find a rumored cache of sacred texts that could be one of the most explosive discoveries of all time. For as Clara Tannenberg and a team of renegade archaeologists journey deep into an Iraq on the brink of war, another far more sinister group is determined to get there first. Sweeping from the time of the biblical patriarchs to the front lines of the Iraqi conflict, from the horrors of Nazi Germany to the back rooms of Washington, D.C. When Nick Davis, a forty-something small town machinist, spots an intruder’s shadow through the mist of an early morning storm. He is oblivious that the seemingly random occurrence will lead him on a path that will change his life forever. After Nick accidentally overhears a conversation between Lou Evans – his boss and the owner of Lou-Paul Machine Shop – and a mysterious person, he unwittingly becomes a pawn in a game of international proportions. When Lou gruffly asks him to take possession of prototype blueprints, Nick has no idea that the blueprints contain a dark secret – a secret with the potential to kill. Combined with unwanted attention from a local police officer as well as a skeletal, dangerous former FBI agent, Nick’s normal life is suddenly not that at all, and no one can guarantee his safety – not even the beautiful FBI agent who has been assigned to the case. Lou may not be who he says he is, and, unfortunately for Nick, his downfall may be that he is the best machinist around and the only one Lou can count on to help him carry out a perilous mission. 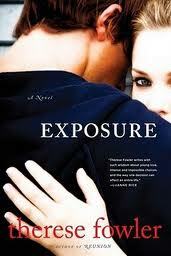 Exposure has been on my want to read list for awhile. I hear it is very good. I’ve had my eye on it for a while as well, I’m definitely looking forward to it! You got some great books!